Senate passes 2017 budget after five months – Royal Times of Nigeria. The National Assembly Thursday passed the 2017 Appropriation Bill, more than four months after it was submitted to it by President Muhammadu Buhari. 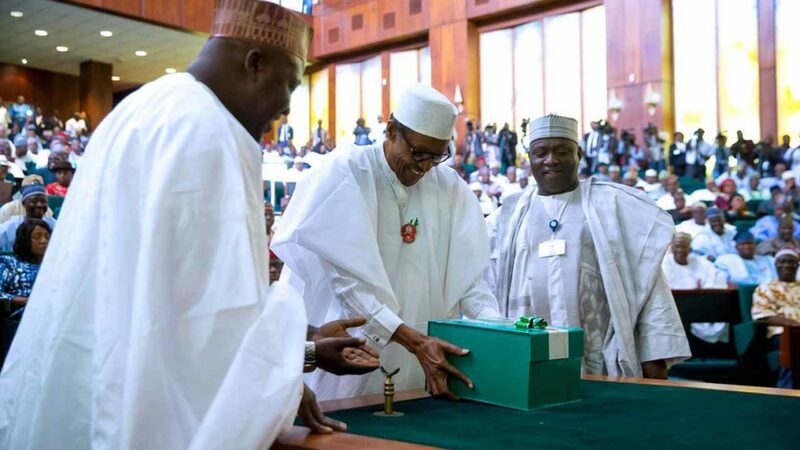 Buhari presented the budget documents to a joint session of the National Assembly on December 14, 2016. At the senate, the passage of the Bill followed the presentation of report on it by the Chairman, Committee on Appropriation, Sen. Danjuma Goje, at plenary. Contribution to the Development Fund for Capital Expenditure, exclusive of the capital expenditure in statutory transfers for the year ending Dec. 31, 2017, got N2.2 trillion. “This includes the provision for second Abuja runway and rehabilitation and upgrading of Abeokuta Airport. “We have also made adequate provision for the completion and take-off of Barinda Port under the Nigeria Inland Waterways. “We also have provision for the Amnesty Programme to ensure full stability and peace in Niger Delta with the obvious increase in oil production,’’ he said. Other senators contributed to the debate on the report, with Deputy President of Senate, Ike Ekweremadu, commending the Joint Committee on Appropriation for presenting details of the budget. “ The Appropriation Bill is the most important Bill of the National Assembly and for us, all these years to consider this bill without public hearing, I believe has been a mistake. “Now we are back to the right path by ensuring there is a public hearing. There were some issues in the course of the public hearing this year. “I believe that going forward we are going to increase the number of days and more people participating in having the public hearing for the budget for coming years. “We have moved from the budget cycle of January to December; now, we are doing May to May,’’ he said.